Battered into submission by a lost court battle in the UK, Microsoft officially changed the name of their cloud storage service today. SkyDrive is now known as OneDrive, but it's not just a name change - the service boasts new features including automatic camera uploads on Android, improved integration with Office Mobile for Android and OneNote, and better video handling. Microsoft initially launched SkyDrive in 2011, but was forced to change the name after losing a trademark infringement lawsuit brought by the UK's BSkyB in 2013. MS had previously said that they were going to appeal the ruling, but they abandoned the appeal in exchange for more time to change the name. 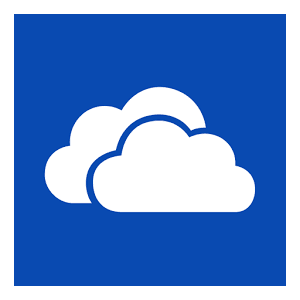 The new OneDrive service boast video uploading and streaming that is said to work as well as sharing photos, and the Android app also features an option for automatic uploads of all photos (the iOS app already had this feature, I'm told). And just to make the service even more useful, OneDrive also now supports real time collaborative editing of documents in Office Mobile for Android. The new apps are going to be rolled out as updates to the existing SkyDrive apps. In addition to the new features, MS is also encouraging existing users to update to the new apps. While the existing SkyDrive apps for Windows, OSX, and mobile devices will still work with OneDrive, the new apps will include a number of ways for users to get free storage. Sign up for OneDrive and you get 7GB of storage, at a minimum. Users who enable camera backup will gain an additional 3GB of storage, and they can also get another 500MB for each referral (up to 5GB). If you happen to have a Surface tablet, Microsoft will give you 200GB for two years. And Office 365 users can get 100GB of free storage. And last but not least, Microsoft is also offering additional free storage to early adopters. The first 100,000 users who sign-up for OneDrive will get 100GB free cloud storage. If you’re interested, you’ll need to follow OneDrive on Twitter as the company will only be sharing details there.